Greetings used to be so simple: open hand? Shake it. 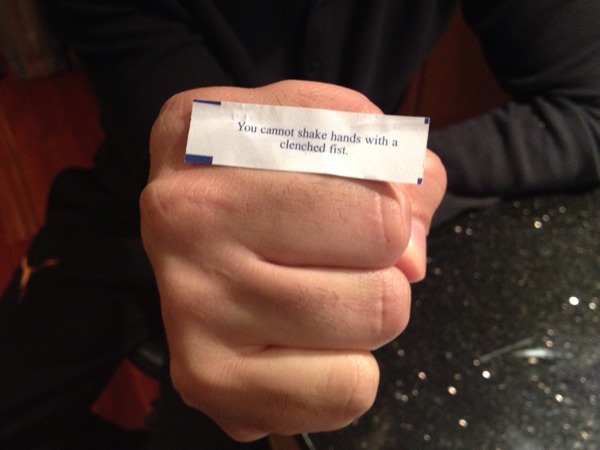 Closed fist? Duck. But social mores have shifted in recent years, and this fortune no longer packs the same punch. Now, fist bumping is an acceptable form of greeting, particularly among metro-macho males and germaphobes. This entry was posted in Uncategorized on October 20, 2013 by FCPhilosophy.